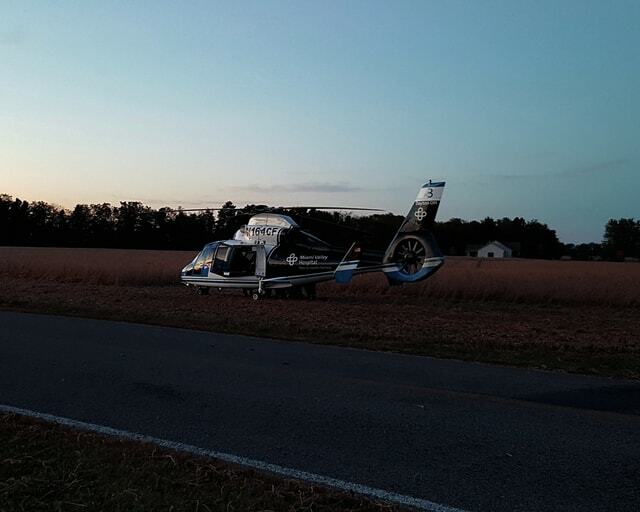 Two drivers involved in an injury crash at North U.S. Route 68 and West Kanagy Road were taken to Miami Valley Hospital via CareFlight on Monday. The crash remained under investigation as of Tuesday afternoon. WEST LIBERTY – Two drivers were flown to a Dayton hospital after a two-vehicle crash Monday. Champaign County Sheriff Matt Melvin said Tuesday an injury crash at North U.S. Route 68 and West Kanagy Road was called into dispatch at 6:50 p.m. Monday. An initial investigation revealed a Ford Ranger driven by a 17-year-old male was traveling southbound when the driver attempted to stop for a vehicle turning onto West Kanagy Road. 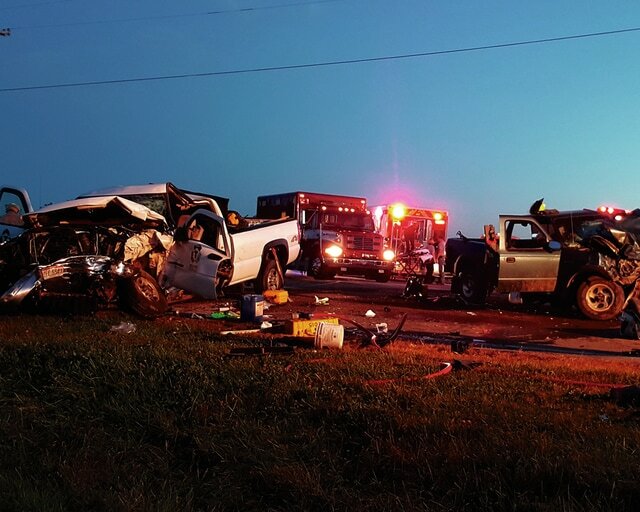 The teenage driver went left of center to avoid striking the vehicle in front of him, however, he failed to observe a vehicle traveling northbound, causing the two vehicles to collide head-on. The vehicle traveling northbound was driven by Steven B. Grimes, 34, of Zanesfield. Melvin said both drivers were the sole occupants of the vehicles and were flown to Miami Valley Hospital via CareFlight. The 17-year-old driver was listed in serious condition as of Tuesday afternoon, but a condition for Grimes was not available. The crash remained under investigation as of Tuesday afternoon. Champaign County deputies along with West Liberty Fire and EMS and Urbana EMS responded to the crash. On Tuesday, deputies responded to a single-vehicle injury crash in the 4900 block of Middle Urbana Road at 8:49 a.m.
Melvin said one vehicle exited the roadway southbound, struck an electric pole and came to rest in an embankment. The driver, Tanya Dowty, 47, of Northridge, was transported by CareFlight to Miami Valley Hospital with non-life-threatening injuries. She was listed in fair condition as of Tuesday afternoon. This crash was under investigation as of Tuesday afternoon.